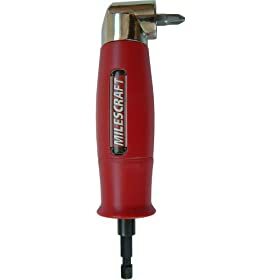 The Milescraft Drive90 is a right-angle drill drive attachment, featuring a magnetic 1/4-inch hex socket. This standard 1/4-inch hex input shaft accepts and holds all standard 1/4-inch driver bits and will fit any drill. The Drive90 includes 3 of the most common bits: the #2 straight; the #2 Phillips; and #2 square head. It also features a compact head design, ideal for close-quarter driving. The gears are housed in a die-cast zinc body and perform a strong, maximum 100 inch/pounds of torque at 400 RPM, providing the tool with durability and high performance. 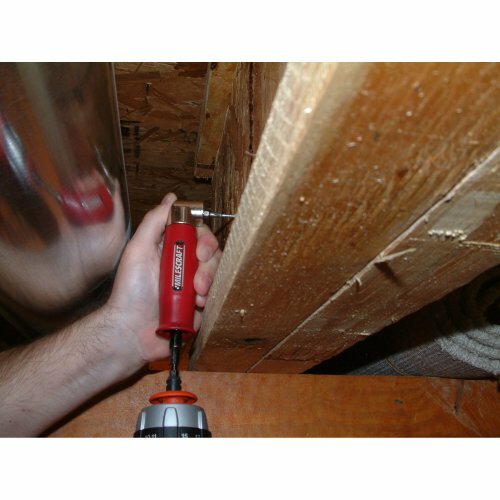 The drill drive includes an ergonomic positioning handle for safety and comfort during use. This innovative tool is built tough for any DIY project around the house. It is covered by a two-year warranty. This attachment works well if you ignore the grinding noise from the mechanism. It will not make the noise if you hold it just so but it's difficult to do so. 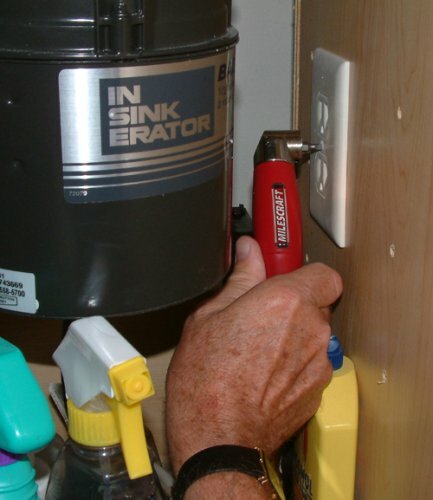 DO NOT be tempted use it with an impact driver. That's how I broke mine (stripped the mechanism) an impact driver is too much for the tool unless you dril pilot holes. For driving screws in low torque applications it does fine. If you are driving screws into hardwood with an impact driver and no pilot holes, be prepared to break it as this tool will not be able to handle the touque. I would only recommend this tool for occasional use. Mistake in buying this product! This angle driver was a complete wast of my time and money! 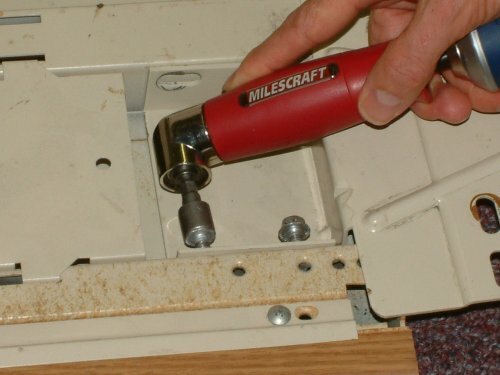 I purchased this product to drive wood screws into plywood on my boat. The driver broke on the first screw! I was using a #10x1 screw and driving into unfinished 5/8" plywood!